Johannesburg - What happens when fevered foreign-exchange speculation meets fake news at the same time a satellite that shares the name of President Jacob Zuma goes missing? You get the rand on Tuesday, which suddenly spiked more than 1% amid the confusion before snapping back less than 10 minutes later. Here’s what happened: Shortly before 06:00 New York time, false reports suggested Zuma had unexpectedly resigned. Since Zuma isn’t much loved by investors, the rand shot up on speculation a new government led by the leader of the ruling African National Congress, Cyril Ramaphosa, was on the way in. But, the report was false. The embattled leader will face an effort from within his party to oust him from office, perhaps as early as Wednesday, but that’s a far cry from a resignation. “South Africa - like a lot of emerging markets - is especially prone to this stuff because the politics are a lot stranger than developed markets have traditionally been and thus more subject to headline risk,” said Paul McNamara, a London-based fund manager at GAM UK. News-reading algorithmic traders may have been further confused by reports on the wires of a US congressional aide saying that Zuma was lost. But this Zuma wasn’t Jacob - but rather the code name for the seemingly failed mission by SA-born Elon Musk’s Space Exploration Technologies to launch a military satellite. A spokesperson from the US Strategic Command said it had “nothing to add to the satellite catalogue at this time” when after being asked if the new satellite was in orbit following reports that the rocket had crash-landed into the ocean. 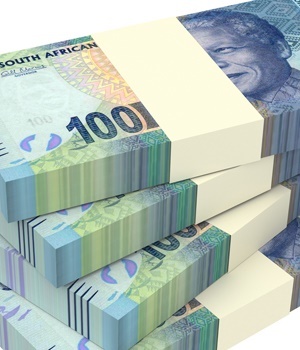 The rand, for its part, eventually climbed back into positive territory and was up 0.3% to R12.3489/$ as of 08:47 in New York.